Need more labs in your teacher toolbox? This is a fully editable, growing bundle. We are adding labs as we create them. The earlier you buy, the better the deal! This is a free resource to help guide your students to writing a lab report! It is in a checklist form so they will not be overwhelmed. 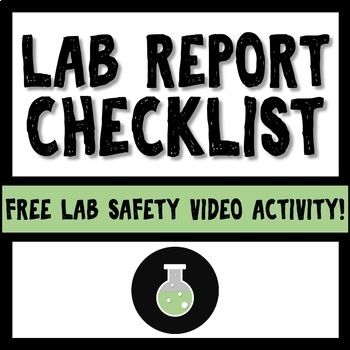 Also included, is a Lab Safety Video Activity that you can use at the beginning of the year to familiarize them with lab safety! Students LOVE seeing themselves on screen, why not have them teach each other the lab safety rules! All editable in Word Format.